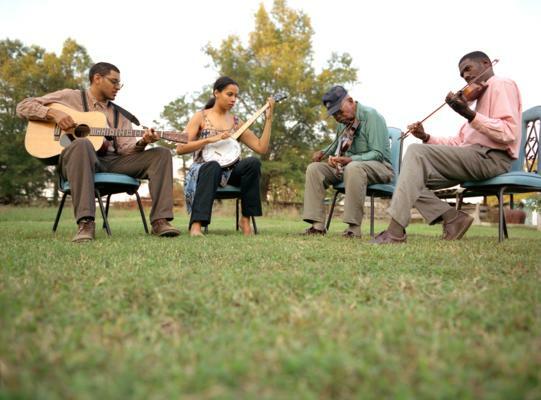 DON"T GET TROUBLE IN YOUR MIND is a wonderful portrait of the Carolina Chocolate Drops, a trio of African American musicians who specialized in country and folk music. While you may not have heard of the group you probably have run across Rhiannon Giddens the lead singer who has gone off on a solo career. Charting the course of the group from their founding until now the film is full of wonderful insight into the members, their music and their outlook on life. Over the course of the film we come to understand and love them and their influences with a depth that’s rare in musical documentaries. And of course there is the music. Pretty much a wall to wall sampler of the Chocolate Drops music this is a film that will have you rushing to iTunes or where ever you go to buy up all their recordings. ICE PICK TO THE MOON is a portrait of the music of Reverend Fred Lane (aka Tim R Reed) who back in the early 80’s released two albums of off kilter loungey/swingy music ala Frank Sinatra (kind of as if Sinatra's songs had had Dada lyrics) that warped the minds of anyone who ever heard them. With song titles such as The French Toast Man they are definitely weird. After two albums Lane stopped making music and went off to do other things - leaving everyone to wonder what the hellwas that and who was the mad man behind the records. Revealing the small (but growing) rabid fandom for Lane’s albums as well as the stories of their creation the film will be like manna from heaven for fans of Lane and off kilter ditties. 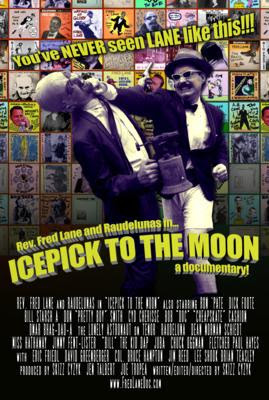 With its own unique style that is like a mix of the labels of Dr Broner's soap mixed with some of the Church of Subgenius videos and fliers, ICEPICK TO THE MOON is a one of a kind documentary, which is perfectly fitting for a one of a kind performer. For the most part I was really entertained, however as much as I like the film I think that the film is probably a too long at 99 minutes. I know fans won’t quibble but anyone else will find things running out of gas about an hour in. There simply isn’t enough to hold the attention of anyone who isn’t fan. Then again I’m not sure this was made for anyone for anyone other than the diehards-or anyone who can be instantly converted. One of the great finds of the Oxford Film Festival.